Traumatic brain injuries are the cause of over 2.5 million emergency department visits, 282,000 hospitalizations, and nearly 50,000 deaths in 2013 annually, can result in severe complications, and can even be fatal. This type of injury can be the result of an auto accident, a slip and fall, a sporting incident, or some other situation where the head sustains a jolt or impact that is severe enough to cause damage to the brain. The consequences of this type of injury can be far-reaching and devastating since the brain is what defines who we are, how we behave and controls literally everything our body does. 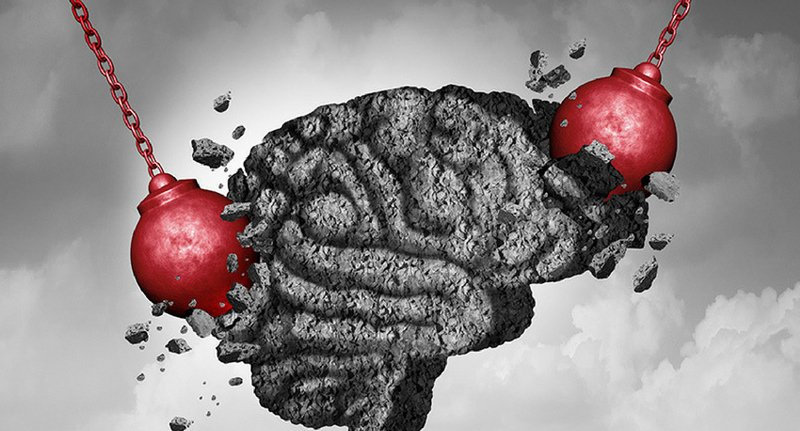 Sometimes the victim might not even be aware that they have suffered this kind of damage to their brain – especially if other injuries are sustained in addition to the traumatic brain injury and these injuries end up taking precedence due to their severity. There are two types of traumatic brain injuries: open and closed skull. The term “open skull injury” is used to describe a situation where the skull is broken and an object possibly ends up penetrating into the brain. These types of injuries are usually fatal, as they are most frequently related to firearms or an assault of some type, but there are rare cases when they are not fatal. On the other hand, closed skull injuries occur when the skull is not penetrated. However, a closed skull injury can still be lethal and can still cause significant damage to the brain. Typically for a closed skull injury, when the head receives a major jolt, the brain “bounces” off the inside of the skull, causing the injury. The symptoms of this injury can range from what is considered “mild” to “severe” symptoms. Some of the mild symptoms are similar to what people tend to expect from a concussion: confusion, loss of consciousness, difficulty focusing, difficulty remembering, and even mood swings can be exhibited and classified as mild symptoms. Unfortunately, the severe symptoms can be life-changing, debilitating, and often causing disabilities. Some common severe symptoms include: extended loss of consciousness (over 30 minutes), limited functionality for the extremities (fingers, toes, arms, legs), speech issues, and even the loss of ability to think or rationalize properly. When looking at a severe case of traumatic brain injury, the victim is always faced with long-term effects that could permanently and drastically change their day-to-day routine, and possibly end up facing permanent disability. It is important to immediately seek a traumatic brain injury attorney for both mild and severe symptoms. While traumatic brain injuries can be sustained in a wide variety of activities, accidents and situations, it is frequently discussed in the motorcycle community. 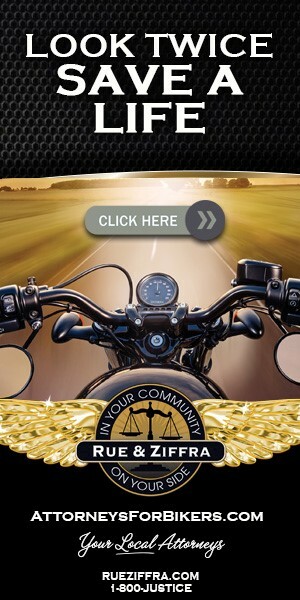 Rue & Ziffra was founded by an avid motorcyclist and thus traumatic brain injuries are a topic that Rue & Ziffra is passionate about. Offering their services as traumatic brain injury attorneys is yet another way they serve not only the motorcycle community, but also any victim that has experienced this and is seeking justice. According to the National Highway Traffic Safety Administration (NHTSA), over 50% of all motorcyclists who are admitted to a hospital but do not survive, the fatality is attributed to the traumatic brain injury that was sustained. When it comes to using a helmet to protect a motorcyclist from a traumatic brain injury, the stats are significantly better than those who refrain from wearing a helmet. Approximately 21% of all motorcyclists not wearing a helmet who end up admitted to a hospital are admitted for an injury of this type, while only 15% of helmet users are admitted for a traumatic brain injury. Being such a huge part of what causes motorcycle fatalities, traumatic brain injuries are a prime topic for the motorcycling community. There are a few steps that can be taken to help avoid this injury. Though it should be common sense, wearing a helmet is vital while participating in any activity or sport that has an element of risk involved (horseback riding, scooters, bicycles, ATVs, baseball, football, etc) – helmets are not just for motorcyclists. For automobile accidents: always wearing a seatbelt while in an automobile, always placing children into appropriate child seats, and never driving under the influence of drugs or alcohol are ways that an individual can help reduce the risk of a traumatic brain injury. When on a motorcycle, always use a helmet that meets or exceeds the standard safety ratings that are established by the Department of Transportation. There are helmets that may have a DOT sticker on them but might not be up to safety ratings. Make sure you get your helmet from a reputable vendor and replace it when necessary. Since a large percentage of traumatic brain injuries are caused by falling – making sure that caution is used on stairs by using a railing, having appropriate footwear, removing clutter or debris from walkways, and having adequate lighting in walkways can also help reduce the risk of this injury further. Lastly, since most fatal traumatic brain injuries are actually sustained due to firearms, using good gun safety rules will go a long way in keeping this from happening. Good gun safety practices include: keep the guns locked up out of sight, or at least locked in a way that they cannot be used, and store the guns unloaded and separated from the ammunition. Any traumatic brain injury sustained, whether or not the result of an automobile incident, is a serious injury and medical attention should be sought after immediately. This also goes for legal counsel when it comes to working for the benefits needed by the victim of this injury. Establishing a case early with a traumatic brain injury attorney can go a long way when it comes to receiving these benefits in a timely manner. Nobody wants to be struggling to recover in the hospital, and having to deal with the burden of waiting for benefits to start paying out. Rue & Ziffra is the leading source when it comes to fighting for personal injury justice with our 182 years of combined experience. Having experience with over 28,000 cases grants the necessary knowledge needed to win in a court of law against the at-fault party’s insurance company.